The submission deadline for the JAAS themed issue on SIMS for Biological Applications has been extended to May 15th, 2019. Get your submissions in now! 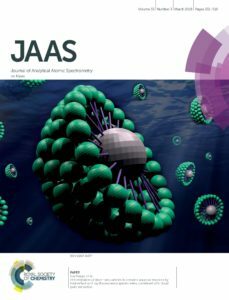 You are invited to contribute to the upcoming JAAS themed issue showcasing the latest discoveries and developments in SIMS for Biological Applications. Guest Edited by Professor Dirk Schaumloffel (Universite de Pau et des Pays de l’Adour) this upcoming themed issue will highlight the most outstanding work in the area of SIMS, and also to provide some insight into the newly emerging work in this exciting area of research. For your article to be considered for the SIMS for Biological Applications themed issue we must receive your manuscript by May 15th 2019 (UPDATED). Communications, full papers and review articles are welcomed, if you are interested in submitting a paper for this themed issue please contact us to let us know. 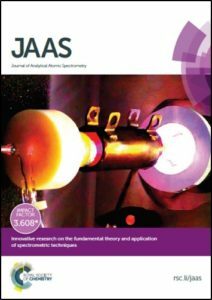 We would like to highlight the Outstanding Reviewers for JAAS in 2018, as selected by the editorial team, for their significant contribution to the journal. The reviewers have been chosen based on the number, timeliness and quality of the reports completed over the last 12 months. We would also like to thank the JAAS board and the analytical chemistry community for their continued support of the journal, as authors, reviewers and readers. Will you be at the European Winter Confernece? Will you be at the European Winter Conference on Plasma Spectrochemistry, February 3-8, Pau, France? The conference brings together plasma spectrochemists from all over the world in one European location to stimulate contacts and exchange knowledge and experiences. Plasma spectrochemistry involves analytical methods such as ICP-MS, GD-MS, ICP-AES, DCP-AES, MIP-AES, LIBS or LAMIS. Rebecca Brodie, Deputy Editor, JAAS, will be attending. I look forward to meeting you in Pau! By Richard Lynch, Editorial Assistant. For your article to be considered for the SIMS for Biological Applications themed issue we must receive your manuscript by April 1st 2019. Will you be attending the European Winter Conference on Plasma Spectrochemistry? The 2019 European Winter Conference on Plasma Spectrochemistry is to be held in Pau, France, from February 3 to 8, 2019. The EWCPS-2019 will be the 18th event in this well-established series of successful meetings organized in uneven years by European research groups alternating with the US conferences. spectrochemistry and about 500 participants to promote exchange on all the topics concerning analytical plasma spectrochemistry and related mass and emission spectrometric techniques, including fundamentals and instrumentation, sample introduction techniques, glow discharge, laser ablation, isotopic analysis, speciation and metallomics, quality control and industrial applications. Several outstanding plenary, keynote and heritage speakers have already confirmed their participation. In addition, we will offer a number of special sessions, workshops and technical short-courses taught by renowned experts. The EWCPS-2019 will host the exhibition where several companies will introduce and present their latest products in a warm and convivial atmosphere. 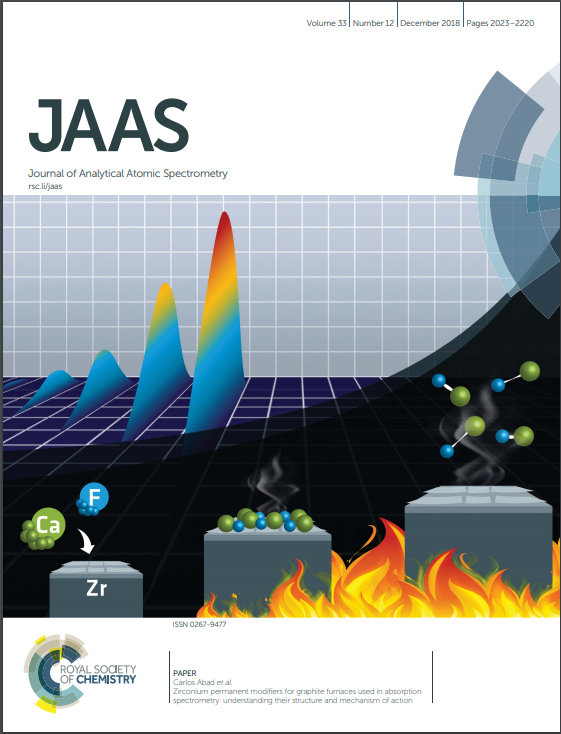 We are delighted to draw your attention to the latest JAAS themed collection devoted to analytical atomic spectrometry in South America. This collection was Guest Edited by JAAS Editorial Board member Érico Marlon de Moraes Flores and showcases the work of some of the best researchers working at South American institutes. An Editorial by Érico Marlon de Moraes Flores prefaces the collection. All papers in the collection are free to access until the end of December 2018 with an RSC Publishing Account. You can keep up to date with the latest developments from JAAS by signing up for free table of contents alerts and e-newsletters. We are delighted to announce we are welcoming nominations for the next JAAS Emerging Investigator Lectureship. 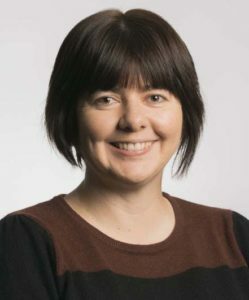 The lectureship is awarded to recognise and support an emerging scientist working in the area of atomic spectrometry in the early stages of their independent career. You can read about the previous winner here. The recipient of the lectureship will present their research at a relevant high-profile international meeting (to be agreed with the Editorial Office) and receive a contribution of £2000 to cover associated travel and accommodation costs. They will be awarded a certificate and asked to contribute a Primary Research or Review Article to JAAS. The lectureship is open worldwide to researchers working in atomic spectrometry within the scope of JAAS who are at an early stage of their independent career. The nominee has to be under ten years* from gaining their PhD and those who hold a senior permanent position are not eligible for the award. (*Appropriate consideration will be given to those who have taken a career break or followed a different study path.) The nominee should also have a level of engagement with the journal JAAS and be a published author in it. Nominations must be received by the Editorial Office by February 28th 2019; researchers cannot nominate themselves and members of the Editorial Board judging panel are not eligible to receive the lectureship. The Editorial Office will screen each nomination for eligibility and draw up a shortlist of candidates based on the nomination documents provided. The lectureship winner will be selected by the JAAS Editorial Board based on the originality, quality, impact and significance of the candidate’s research, as highlighted in their nomination. To make a nomination please send the Editorial Office a letter of recommendation, nominee biography and publication list no later than February 28th 2019. For any queries, please contact the Editorial Office at jaas-rsc@rsc.org. I am very saddened to report that last Saturday (June 2), Dr. Bernhard Welz passed away, after severe complications, as consequence of a car accident. Bernhard was cremated last Sunday in Florianópolis (Brazil), the city in which he chose to live for the last 20 years. Born in Augsburg (Germany), Bernhard was without any doubt one of the driving figures in the development of atomic absorption. As a young doctor, he started doing research in what was then a very new field, when he joined Perkin Elmer in 1967. 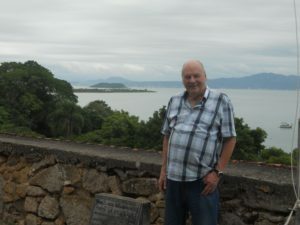 After more than 30 years working for such company, Bernhard, instead of opting for a peaceful retirement, decided to adventure overseas and became Visiting Professor at the Federal University of Santa Catarina, in Florianópolis. And so Bernhard became Bernardo, and started a new life, meeting his wife and co-worker, Maria. His presence and example invigorated atomic spectrometry in Brazil, to the point that it is one of the leading countries in the field now. Bernhard was tireless and very active until the very end, traveling to conferences all over the world, and presenting his unique work. It is hard to resume his contribution to the field or overestimate his enormous impact. His work for the last 20 years focused on the development of high-resolution continuum source AAS/MAS, but that is only one of his many achievements. His “Bible” on Atomic Absorption Spectrometry, wrote together with M. Sperling in the last edition, still is the reference book in the field. And let’s not forget that he started organizing several successful conferences, such as the Rio Symposium on Atomic Spectrometry, or the German CANAS. I remember reading his papers (his series on the use of palladium and magnesium nitrate as a universal modifier is certainly noteworthy) as a young Ph.D. student, meeting him as a young post-doc, and becoming his colleague and friend later on, as a not so young scientist. Bernhard was a true giant, and it was a privilege to share time with him, both personally and scientifically. He will be sorely missed, but his legacy certainly remains. A life well-lived, Bernardo. Rest in peace and many thanks! We are delighted to announce the appointment of four new members to the JAAS Advisory Board. All four of our new members have been recipients of JAAS Emerging Investigator Lectureships in recent years. The Lectureship aims to recognise and support an emerging scientist working in the area of atomic spectrometry in the early stages of their independent career. Lara Lobo was one of two winners of the 2015 JAAS Emerging Investigator Lectureship, launched to celebrate the 30th Anniversary of the journal. Read Lara’s recent critical review article on depth profile analysis with glow discharge spectrometry here. Gerardo Gamez was one of two winners of the 2015 JAAS Emerging Investigator Lectureship, launched to celebrate the 30th Anniversary of the journal. Check out Garardo’s article on compressed sensing spectral imaging for plasma optical emission spectroscopy here. Sohail Mushtaq was the recipient of the 2016 JAAS Emerging Investigator Lectureship. Read Sohail’s article on “The production of doubly charged sample ions by “charge transfer and ionization” (CTI) in analytical GD-MS” featured in the journal’s fifth Young Analytical Scientists issue. JAAS is guided by an international Editorial Board and Advisory Board – more information on our board members can be found on our website. We welcome the knowledge and expertise our four new Advisory Board members will bring to the journal and we very much look forward to working with them. Welcome to the JAAS team!